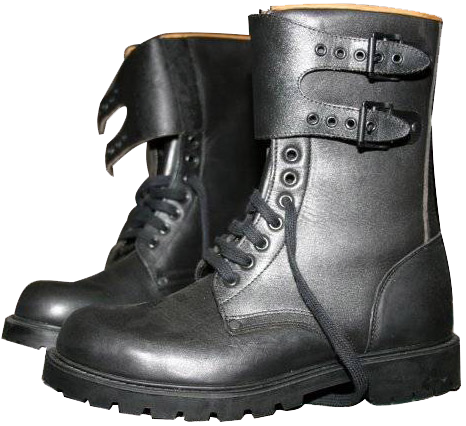 The modification of the year 1965 made the boot's leather much softer, introduced new kinds of rubber out-soles, and in subsequent years, all the boots of the French Armed Forces acquired a habitual black colour. 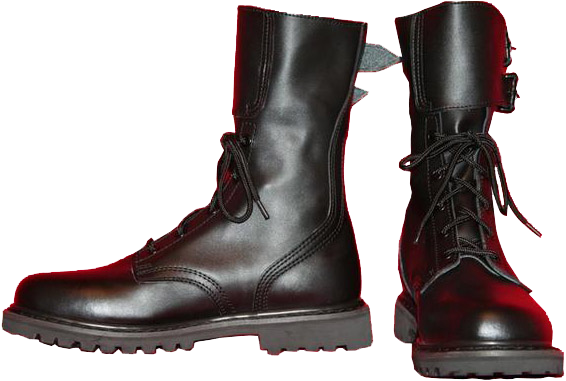 Modern terminology for these boots also includes such names as: "botte de saut" ("jump boots") or "chaussure de combat" ("combat boots"). By the end of 20th - beginning of 21 centuries a considerable number of different models of "Rangeos" were kept in the country's military warehouses - all these supplies just weren't issued to the French soldiers and foreign legionnaires by the beginning of the 1990s. 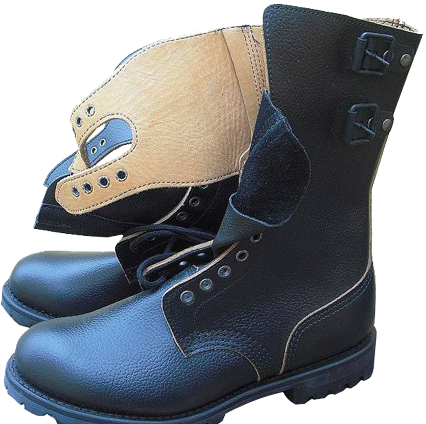 Even until now the batches of such boots periodically enter the commercial market. 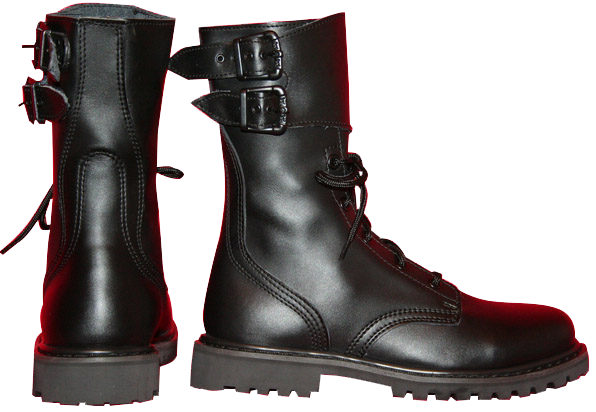 After 2002, the boots of French Gendarmerie began to arrive on the market sales from the warehouses. Traditionally, along with Army, Navy and Air Force, the National Gendarmerie is the fourth component of the Armed Forces of France, serving as a military police and responsible for prescribed law enforcement functions. Over the years the French gendarmes were involved in some missions abroad. 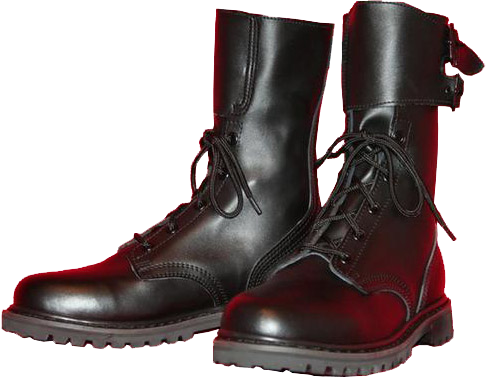 As a part of the Armed Forces, the French gendarmes also used to wear a modified version of "Rangers" - the leather of this boots was smooth, not grained, and these boots out-soles had different tread patterns. 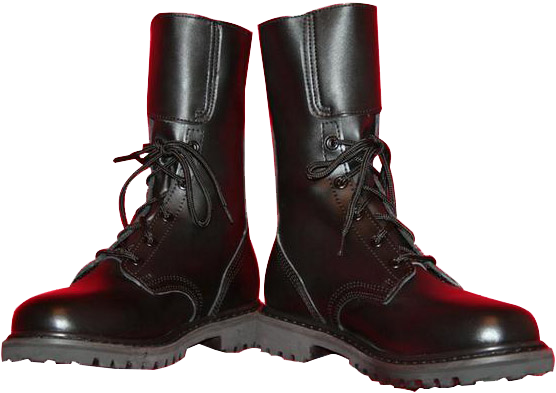 Also there were "Gendarmerie" boots models with cushioning inside (extra layer of thin "glove"-type leather). In 2002, following the commitments assumed during the presidential campaign, Jacques Rene Chirac, the President of France, brought the National Gendarmerie from the Armed Forces under control of the Ministry of Internal Affairs, having limited their area of responsibility to the territory of France. There have been made the appropriate changes to legislation along with structural reforms. Also the relationships and issues of cooperation between the police and the National Gendarmerie have been reviewed. 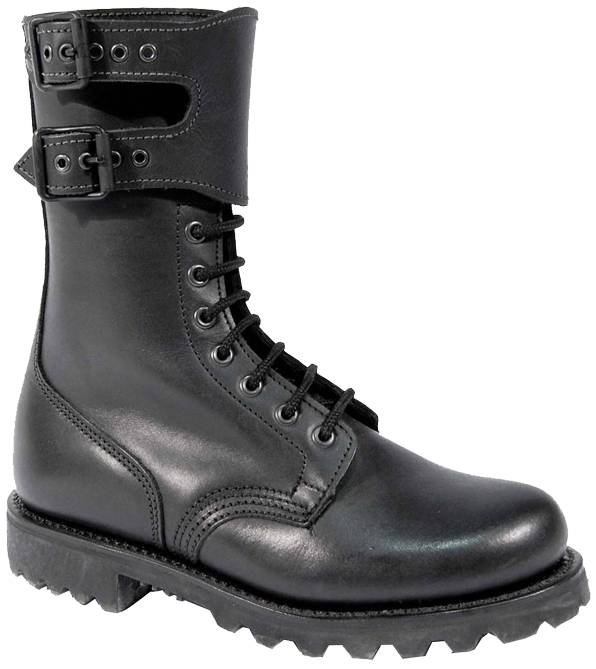 Since that time the Gendarmerie began using not army, but police-type boots and other equipment.